Up once more compared to 2016 according to figures published by the Institute for National Statistics in Spain (INE). 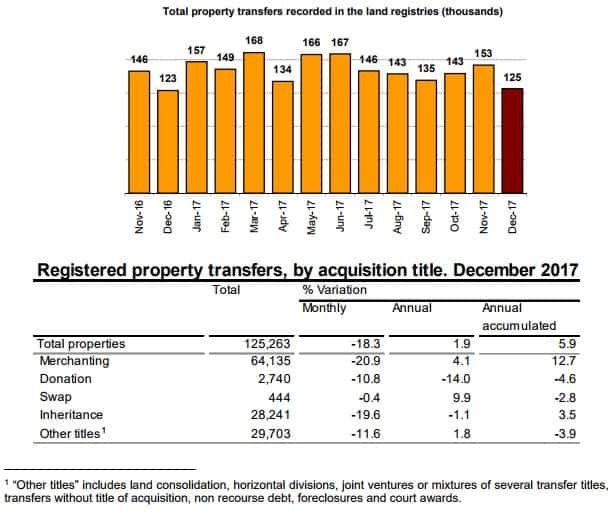 December saw 125,263 properties registered at Land Registry, almost 2% more nationwide than in the same month of 2016. This includes all transmissions of property, for example inheritances, easements, resale and new first time sales etc. December Sales showed a 9.2% increase on same month for 2016. 64,135 sales were recorded for December 2017, of which 85% were urban properties and 15% rustic dwellings. Registered housing sales, including government owned accommodation. In December, 89.7% of dwellings sold were those on the free-market and 10.3% were protected housing. In annual terms, the sales of free-market homes increased by 8.4% and protected properties by 16.5%. 17.8% of dwellings transferred by sale in December were new, and 82.2% were Resales. 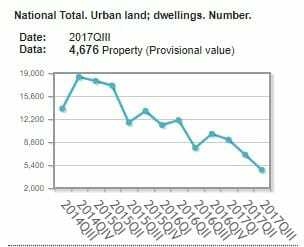 The number of transactions on new properties increased by 11.0%, while that of Resales increased by 8.8% compared to December 2016. What does this mean for Andalusia? Making sense of it all. December 2017 alone saw 20,812 registered property transfers for Andalusia. This equates to 95 transfers for every 100,000 inhabitants. Third highest in Spain after Valencia and The Balearics. This marks a 10.7% annual increase. Compare this to the Catalan region, down by 5.7% and it is tempting to emphasise how markets need stability. Andalusia with its infrastructure, sunshine and stable political environment is a great place to invest. 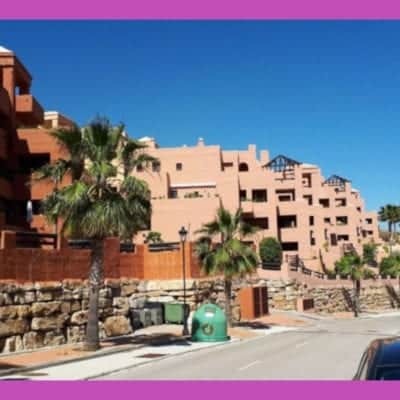 Make up for dips in your portfolio for Spanish property from 2007 onwards; property purchase always has highs and lows, but now is the time to get those bargains once again. Andalusia realised 293,538 conveyances for 2017. 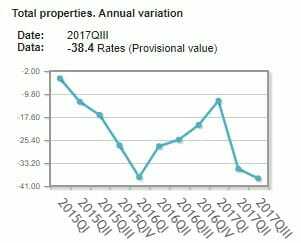 An annual variation of 5.6% in change of property ownership for the year including inheritances etc. This is an annual variation of 12.6% as a result of home sales on the open market (89,337). It equates to 1,356 per 100,000 inhabitants. 51,878 properties were classified as rustic. All other transactions amounted to 77,064. 16,397 conveyances were new builds. The off plan market has started up again. We are in the early stages of a new market with properties reduced to lower than their real values by owners who just want to shift them. For those of you who lost money in the downturn of the market, act now to recoup losses. For those of you thinking about investing for the first time, now is the time to commit. 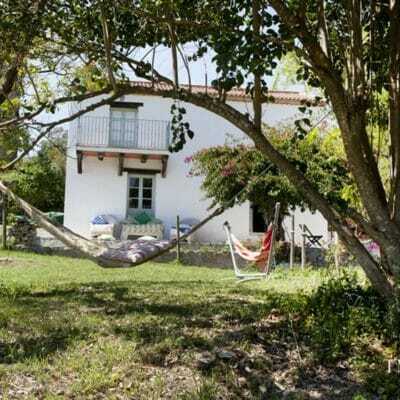 Housing Sales Rise in Andalusia amidst Buoyant GDP figures for Europe. 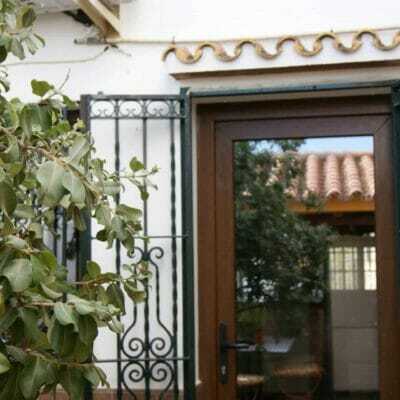 Housing Sales Rise in Andalusia. Andalusia came second in sales increases for November according to the Spanish Institute for National Statistics. INE. This is because house prices are extremely inviting and it is a lovely place to live or come to for holidays. Property prices are still lower than what they should be. Take advantage now. 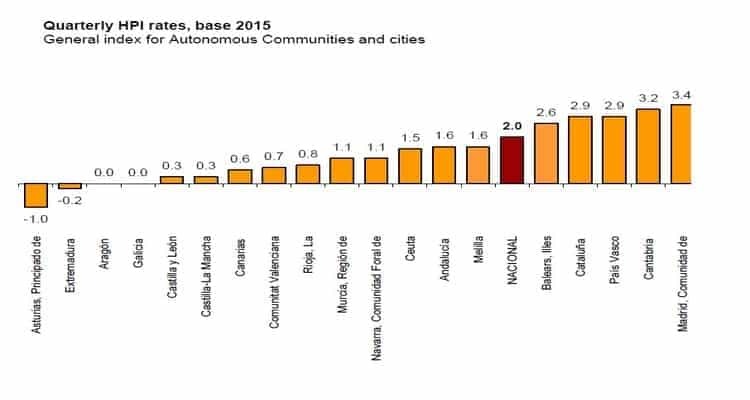 The Autonomous Communities that registered the greatest annual increases in the number of housing sales in November were Aragón (24.7%), Andalusia (24.3%) and Castilla–La Mancha (23.7%). In comparison, Extremadura (–9.7%), País Vasco (–1.3%) and Asturias (3.5%) registered the lowest annual rates in November. In Europe the fourth quarter of 2017 shows GDP up by 0.6% in both the euro area and the EU28 up +2.7% and +2.6% respectively compared with the fourth quarter of 2016. Seasonally adjusted GDP rose by 0.6% in both the euro area (EA19) and in the EU28 during the fourth quarter of 2017, compared with the previous quarter, according to a preliminary flash estimate published by Eurostat, the statistical office of the European Union. In the third quarter of 2017, GDP had grown by 0.7% in both zones. Compared with the same quarter of the previous year, seasonally adjusted GDP rose by 2.7% in the euro area and by 2.6% in the EU28 in the fourth quarter of 2017, after +2.8% in both zones in the previous quarter. Over the whole year 2017, GDP grew by 2.5% in both zones. Residential property price indices (RPPIs) directly and indirectly influence economic policy. From an individual household’s perspective, real estate often represents the single largest investment in their portfolio. It also accounts for the largest share of wealth in most nations’ balance sheets. We do not need to be told how changes in house prices can have far-reaching implications for individuals. House prices influence home improvement and renovations expenditures and there are property bargains out there to buy and reform. Even some minor reforms can significantly increase the value of the property. 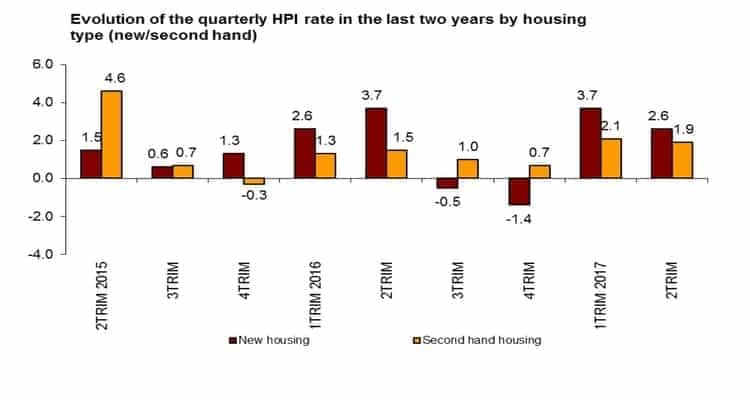 House prices also influence the decision to build new houses (the supply side) as well as the decision to become a homeowner (the demand side). Investors turn to house price indices to measure wealth and to help assess current and future rates of return. From a broader perspective, analysts, policymakers, and financial institutions follow trends in house prices to expand their understanding of real estate and credit market conditions as well as to monitor the impact on economic activity, and financial stability and soundness. For instance, mortgage lenders will use information on house price inflation to gauge default risk. Central banks often rely on movements in house price indices to monitor households’ borrowing capacity and debt burden and their effects on aggregate consumption. 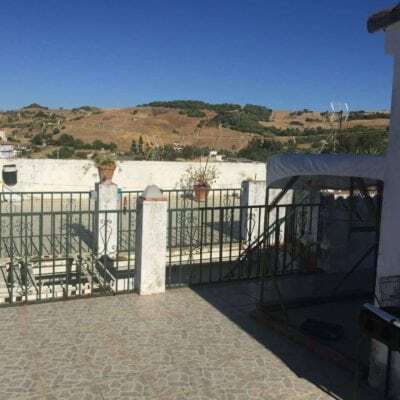 It is still a buyer’s market in property in Andalusia, but, to quote Bob Dylan, times they are a changing . . . which is great news for those owners trying to sell their properties. For those looking to buy, invest now or spend more later. For those looking to sell, it could be that your property is on the market at a price which undervalues it. Get in touch with us to arrange a tour of properties or to get a valuation of your property with a view to selling it. 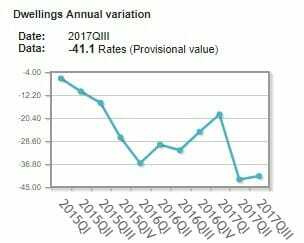 Repossessions have fallen year on year and quarter on quarter. 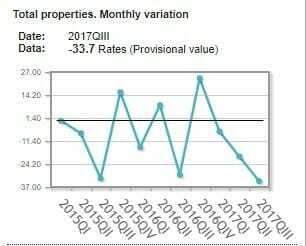 The table below shows the third quarter for 2017 down about a third on number of foreclosures. The same quarter four years ago showed more than 23,600. In the third quarter of 2017 this had fallen to just over 9,000. 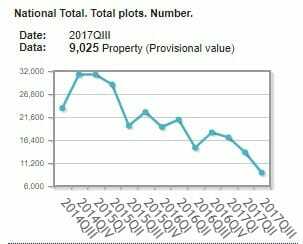 2017 17.000 13.605 9.025 . . .
Foreclosure statistics down down down. These clearly show number of foreclosures falling. These figures relate to all rural and urban properties. The information is broken down based on variables such as the type of building, system, status and owner of the properties being repossessed. The Association of Land and Mercantile Registrars of Spain (CORPME) provides centralised information to the INE – the centre for National Statistics in Spain. This is, of course, great news and a strong indicator of a recovering economy. The other side of this analysis is there are fewer repossessions coming onto the market. Are you looking to enter the housing market? Do you have a good income, but not much money saved for a deposit? You could take advantage of a 100% mortgage offered by a bank that has properties on its books. 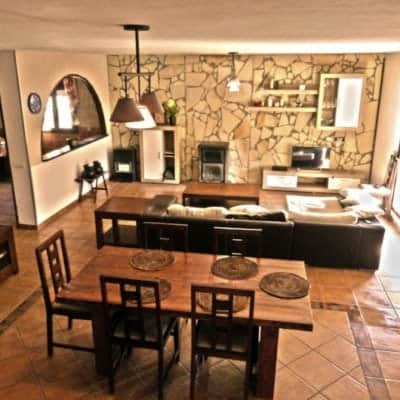 We recommend that you take a look at the housing market now. We have repossession properties available with various banks – some of which offer residents up to 100% mortgage and non residents around 85%. The normal requirement is that you have money to cover taxes or approximately 10% of the total amount borrowed. For those of you looking to make a cash purchase or with up to 30% down payment the range is greater as it includes motivated sellers and private distressed sales. There has never been a better time since the crisis to buy a property. For the first time this decade property sourcers and investors are seriously considering buying to reform and sell on within a relatively short term. Contact us to see if any of the repossessions on our books could be what you are looking for. For most people you pay 8% up to the first 400,000€, 9% on next 300,000€ and 10% on all amounts accruing after that. 8%, on the transfer of boats of more than 8 metres in length and on vehicles of more than 15 horse power and objects of art and historical antiquities. 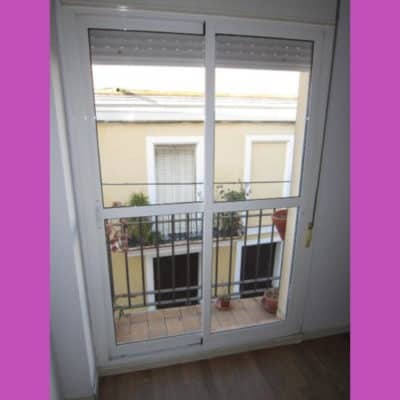 5% in the transmission of real estate where the real value does not exceed 130,000 euros and it is to be the Buyer’s permanent residence and the buyer is under 35 years of age, or 180,000 euros in the case of a permanent residence where the Buyer suffers from a disability which is registered and measured as being equal to or greater than 33%. 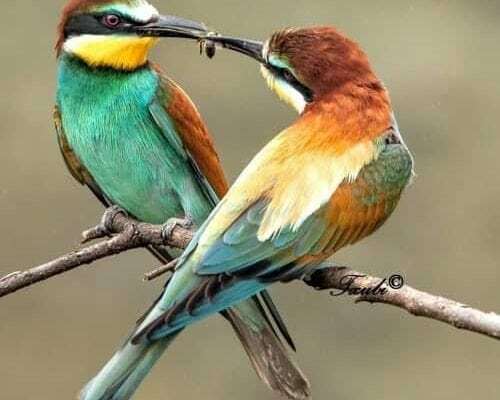 1%, for financial instruments of real security rights, pensions, bonds, loans and cession of credits. Leases are governed by the scale of tax fixed by Law. * With effect from January 1, 2015, tax rate offsets will be applied in the creation and exercise of purchase options in lease agreements related to certain payment operations. In addition to the taxes there is also the need to pay stamp duty for new builds on the pages notarised for the Title Deeds, as well as general application of Notary’s fees, Land Registry fees and Lawyer’s / legal assessor’s fees (Gestor). These days, most mortgage set-up costs are assumed by the lender. As a rough rule of thumb, allow 13% – 15% on top of the Purchase Price and note stamp duty for new builds. 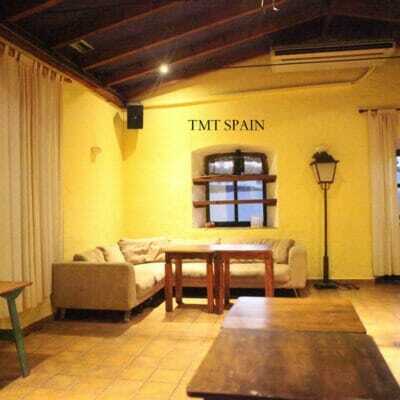 Disclaimer: TMT Spain Real Estate has provided this information as a general guide only and it must not be relied upon in place of legal advice. Legislation is constantly updated and the reader must satisfy herself/himself of the accuracy of these contents. 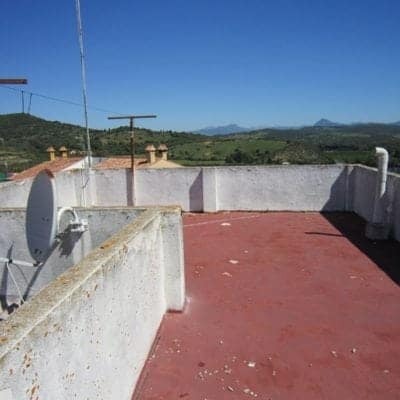 Andalusia once more posting strong results as property prices continue to rise in Spain. 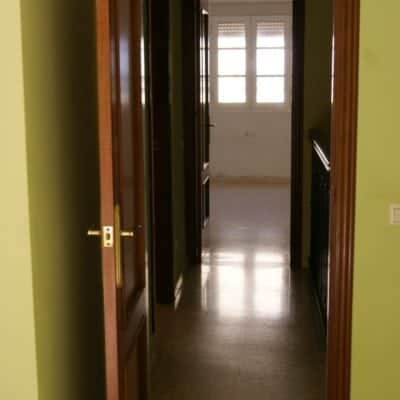 Good news from the Institute of National Statistics for Spain (INE) – the property market continues to bounce back. House prices continue to rise albeit slowly. 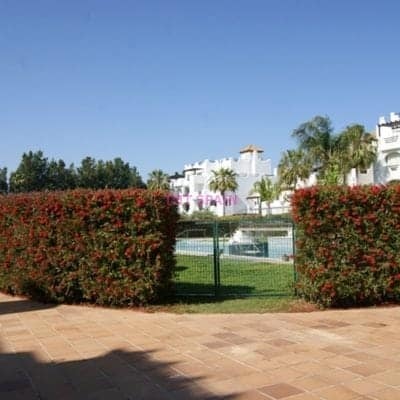 Andalusia strong in new builds and climbing steadily in Resales. The first quarter of 2016 is still the highest average figure for sales, notwithstanding, the Real estate Market is moving again. If you are considering buying a property, now is the time to commit, before prices rise even higher. Those of you thinking about selling, the average time for sale of a property is approximately 9 months – beat the trends and list with us! Housing prices are up two points over the previous quarter. 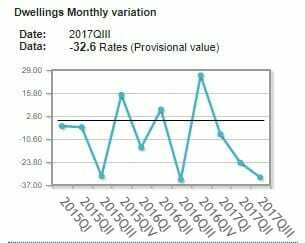 The annual variation of the Housing Price Index (IPV) in the second quarter of 2017 increased by three tenths and stands at 5.6%. 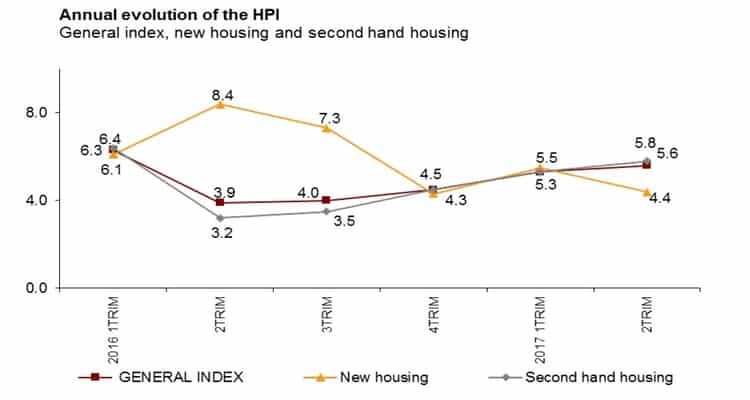 By type of housing, the annual rate of new housing prices is 4.4%, more than one point lower than the previous quarter, with consistent growth in property sales for Andalusia. Meanwhile, the annual variation of Resale housing rose by half a point, to 5.8%. 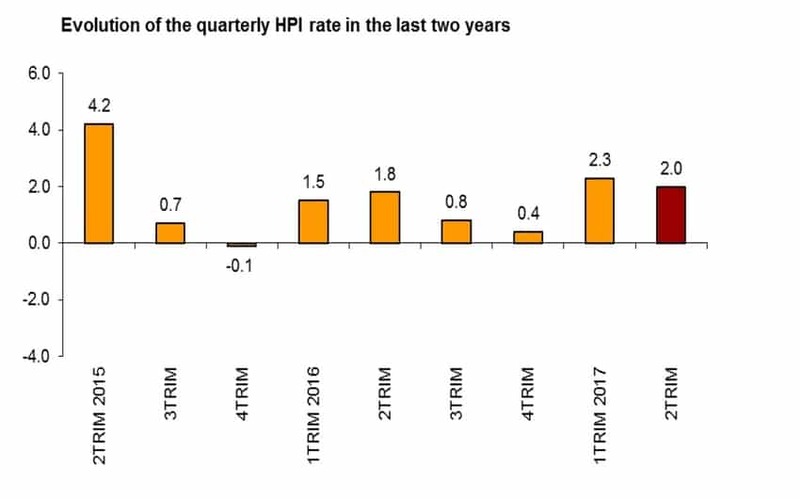 The quarterly variation of the general HPI in the second quarter of 2017 is 2.0%. By type of housing, new housing prices rose 2.6% between the first and second quarters of 2017. Whilst, ‘second hand’ or ‘resale’ home prices rose 1.9%. 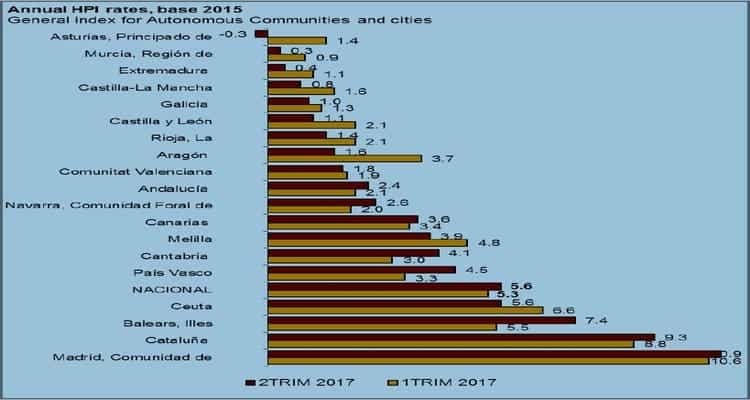 A total of eight autonomous communities increased their annual rate in the second quarter of 2017. The highest increases are recorded in the Balearic Islands, the Basque Country and Cantabria, with increases of 1.9, 1.2 and 1.1 points, respectively. Andalusia is up 0.3 points over the last quarter. 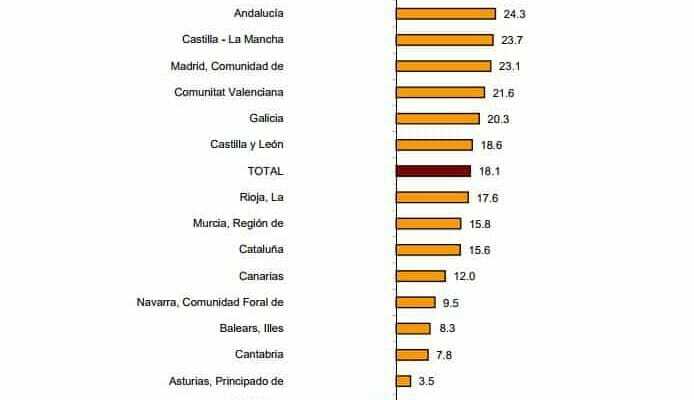 In contrast, the greatest decreases of the annual variation occur in Aragon, Principality of Asturias and Castile and Leon, with declines of 2.1, 1.7 and 1.0 points, respectively. Most of the Autonomous Communities have positive quarterly rates in the second quarter of 2017. Community of Madrid, Cantabria, Basque Country and Catalonia recorded the highest increases (of 3.4%, 3.2%, 2.9% and 2.9%, respectively). For their part, Principado de Asturias (-1.0%) and Extremadura (-0.2%) are the only communities with negative quarterly variations. These statistics are taken direct from INE’s Press Release dated 8 Sept 2017. 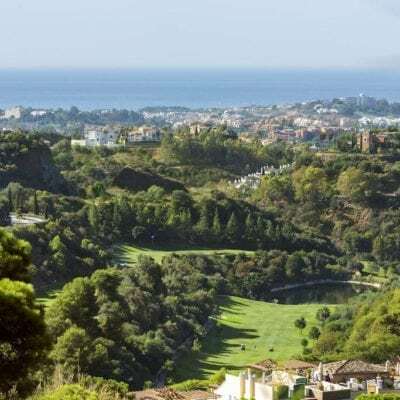 If you are thinking of re-entering the property market in Andalusia as either a Buyer or Seller and are in the provinces of Cadiz or Malaga, get in touch to see how we can help. Jerez, famous for sherry, horses, motorbikes . . . and common sense. No gain = no profit = no tax. Right? Wrong. 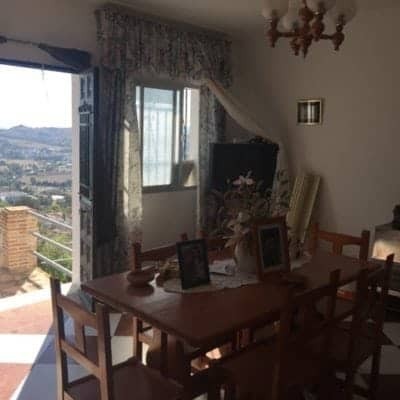 Anyone who had to pay tax to the Town Hall when selling a property at a loss will be delighted to hear that the local government laws in Spain are changing. It is a shame that it has taken this long, especially when during the leanest years people had no redress. Anyhow, it is good news that the property market has turned the corner and it is safe to say there will never be a better time to buy. Because prices are going up. Having said which, when the bubble burst the fall out was considerable and cases are still being decided. 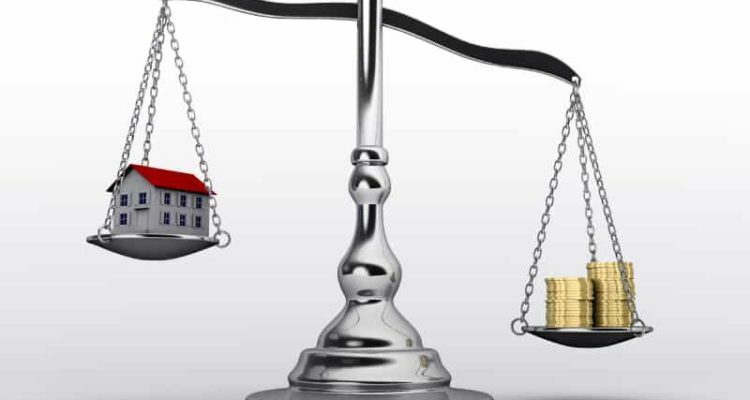 Thankfully, sellers with negative equity are now being treated fairly. 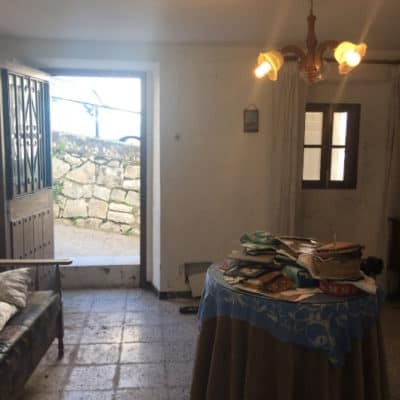 There was a landmark case on Feb 16th of of this year where a national judge determined that a seller with negative equity should not be liable for a tax to the Town Hall which demanded payment just because the property was sold. This case was huge as it partially rewrote the Constitution. Other cases were also decided in the same vein, until a leading Judgment tried to stamp order on proceedings. 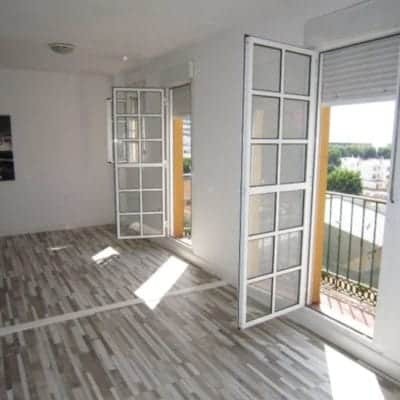 (Case 59/2017 in May in the Administrative and Constitutional Law Courts of Jerez,) A major Bank foreclosed on a Real Estate Company and the prices adjudicated were 50% of the price the company bought them at. A clear example of negative equity. To add insult to injury, the Estate Agents received an invoice from the Town Hall for Capital Gains. There were not any. So they turned to the Courts for justice. The judge hearing the case declared articles 107.1, 107.2 a) and 110.4 of the Local Authorities Tax Laws were unconstitutional making them null and void in respect to negative equity. The Court also invited the legislature to change the law. The judiciary is bound by legislature, but on this occasion the judicial tail wagged the legislative dog and brought it to heel. While all of this was happening, a Draft Bill was being prepared to go through parliament; it is now in the final throes, but from May 2017 until the end of July 2017 the courts were deciding on a case by case basis. The lacuna still existed where the tax had to be paid even when selling at a loss. Such instability had to be stemmed and it was. The hapless victims of negative equity can now reclaim what they had to pay. In July 2017 new legislation passed which amends the Local Authorities Taxation legislation and redacts clauses in the Constitution to enshrine a right in law that no tax is due if no profit has been made. So, in future people selling at less than the purchase price will not have to pay. But those who already have done so despite negative equity can claim it back. It may be subject to four years of Statute of Limitations, at this stage that fact remains unclear. What is certain is that up until the end of July 2017, taxes had to be paid even when no profit accrued. Local, autonomous, and federal tax authorities all agree that a clearer blue print is needed for fiscal certainty. The way the Bill currently leans, the title deed price will be preferred to the Cadastral Value in the case of a loss – unless the authorities contest these values. The Bill still has not become Law, but an interim measure exists in an amended law which allows anyone who paid tax on a property sold at a loss to claim their money back. The date this became law is 15th June 2017, in essence, backdated at the date of the new interim statute. Curiously, it is valid until the end of July 2018. As if not having an expiry date would prevent legislation being passed into law. It seems people will have four years from 15th June 2017 to claim back monies that were forked out when a loss was made. It is equally unclear how far back people can claim from. Proposals have been submitted to make the laws more homogenous. A committee of experts has recommended a single method for all autonomous regions to use based on title deed price. This would be applied to urban and rustic property alike. In order to avoid double taxation, taxpayers would be allowed to deduct the tax paid from the tax base of the other taxes that also tax the capital gains (IRPF). 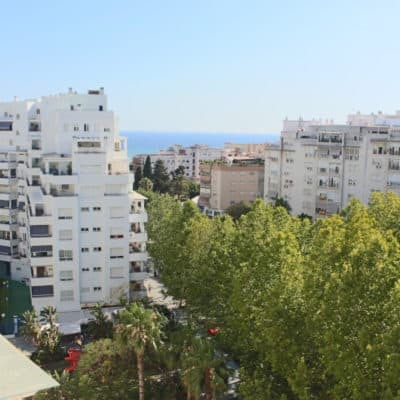 In practice, it is often accepted that if you paid the Town hall tax you don’t pay it again on your IRPF for residents and IRNR for non- residents declaring assets held in Spain.